Why do some people believe that the government keeps reports of UFO encounters under wraps, and what might these cover-ups reveal about our ancient past? For those of you who like the Rendlesham UFO incident, they touch on the dubious case of the hand on the craft and the coded message said to be seen by Jim Penniston. In this video it appears that 3 UFOs are flying across the Dark Side (side not exposed to the sun) of the moon. Does this footage look real to you? If we discount camera reflection & objects in the foreground, then what is it? Remember the interesting dark side of the moon posts from 2008!? UFO lights over Laredo Texas? Strange UFO sighted and filmed from within a plane, en route from La Guardia Airport in New York to Houston, Texas. 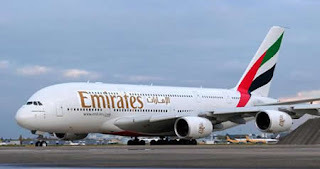 The object appeared when the plane was in the Chicago, Illinois area. If anyone has suggestions on what the object may be, please respond to this post. UFO watcher note: Always keep your cameras ready when you fly. Choose a window seat and look out of the window - even if its dark! FYI yes we are back, and ready to keep posting as we progress into the new year of 2013! New - Ancient Aliens Secrets of the Pyramids For thousands of years, pyramids were the largest structures on Earth. The best known were constructed in Egypt and Central America, but others have been found all around the world, including in China, Africa and Indonesia. But what purpose did the pyramids serve? Researchers explore strange similarities between all pyramids, as well as the geographic, strategic and otherworldly connections between these mysterious monumental structures. Now that the Mayan 'doomsday' has passed, it looks like the History and National Geograhic Channels have to look elsewhere for content! Seemingly, after the object is no longer present, the feed was activated again. The time span was five minutes. The camera was attached to the Z1 Truss Segment, facing Destiny Laboratory Module, with the recently attached Leonardo Permanent Multipurpose Module positioned on the right side of the screen. According to station's log from 16 Dec 2012, "Oleg Novitskiy activated the Russian payload TEKh-39 LCS in the Service Module", but there were no tasks for﻿ the crew on the american side of the station, which is in the scope of this camera. This is definitely an UFO. We have received numerous emails in from New York. New York City - 11-24-12 At 5:00 am I was looking through the 2nd floor family room window of my residence admiring the clear blue early morning sky with a few white clouds and the fully lighted Empire State Building at a distance. I was getting ready for the daily working routines, when all of a sudden I noticed what appeared to be a big circular/round "plate" formation of bright colored lights cruising the sky. It was coming from the New York City direction, from my left to the right, passing at eye level towards the area where I was. The lights were not speeding nor where they moving slowly, mainly the peculiar sight was traveling on what appeared to be a constant straight path motion. There were stars above it. This was not a star. I have observed airplanes go by from a nearby airport. This was not an airplane. There were beam lights around the city in support of Sandy’s victims. These were not beam lights. I witnessed the most beautiful and unusual lights I have ever seen "adorning" our early morning skies. The size is unknown to me, but from my perspective it seems they were as big as my garage door, at a distance. No noticeable edge indicative of "a circular unknown flying machine" was observed. There was no outward reflection or beam light coming out. There were no pulsating lights, either. There was no clockwise movement to the left or right. It was a "plate" full of colored lights-red, yellow, and orange that came to a mind-flashing constantly without moving around. It happened fast, not lasting more than a minute. There was no time for me to call upon my sleeping children; no time to get my cell and take a picture. Many are calling this a highly important piece of footage filmed by shot by ex-Policeman John Hanson, over Rendlesham Forest. It supports the famous 1980 case of a UFO sighting and landing over the nearby Bentwaters Base. It's possible that at the time, the base had top secret nuclear involvement - an important factor in UFO visitations. Fascinating! Alien Like Skulls Found - Cusco, Peru! These interesting 'alien like' skulls, were found in the Cusco museum in Peru. These skulls look similar to the Star Child skull which we have featured before. It was known that adult human skulls could be elongated through ritual head lengthening, however what makes these skulls interesting if they are real (and not tampered with), is that they are meant to be child skulls, which would be much difficult to achieve at such a young age. According to the poster "This (skull) one is at the center of present DNA testing, as is one other. Some results are expected perhaps﻿ in January 2013".Would like to know your thoughts on these strange skulls - alien hybrid or not? Mystery UFO Light Ball Over Gold Coast, Australia. UFO light ball over Gold Coast Australia ...did anyone else on the Gold Coast see this? The man who took the video comments throughout, and says that he first thought he was seeing the moon, until he got a better look. The object appears to be a large white orb-shaped object with a heavy mist around it. This strange triangle UFO was seen over a mountain. No date / location or further details. If anyone can translate this video it would be appreciated. Hope you've all had a stellar weekend! It seems that as every week passes, our readership increases here at RealUFOs at an exponential rate. It's great that since this blog started over 5 years ago in 2006, the UFO subject has now gained mainstream attention though the medium of the internet. Of course, disinformation on the topic is still active and the internet is being flooded with fake videos, information and detractors. We are committed to our mission of providing the most genuine videos and content and have replaced our old post rating system, with the new star rating page which offers more detail. We are aware that our pull down site heading menus aren't working. but this will be available again soon. As we come to the end of 2012, I want to personally thank all of our loyal readers and contributors over the years from across the world - you keep RealUFOs number one! Remember 'Submit' your UFO news and reports using our submit tab above. Poster is adamant these were not flares. An older news report about UFO sightings over Lubbock, Texas. The town has been a UFO hot-spot for about a decade. No further information on this one - the poster advises this footage was removed from media circulation because of its content? If anyone has further information on this video please advise. Hundreds in Cape Town ,South Africa saw this incredible bright moving light in the clouds. Video footage now added of the bright flash and a rapidly moving cloud that was seen from most of the Western Cape around 20:40 (SAST) on 11 December 2012. Lots of people saw it, some thinking it to be a UFO or the doomsday object due to destroy the Earth on 21 December! But patiently waiting at his home, satellite hunter Greg Roberts were waiting for this, the third flight of OTV (Orbital Test Vehicle). And was he surprised to such a spectacular show when both the 2nd stage Centaur rocket and OTV-3 made retro-burns above the Cape Town skies. Eyewitness News - UFO reported in Bakersfield, California December 11, 2012. 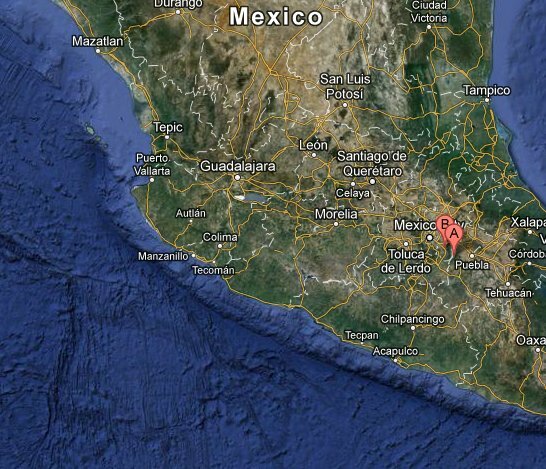 A major sighting occurred in Lázaro Cárdenas, Mexico on December 1, 2012. This story even made the local news reports! Our team would appreciate a translation of this video? Were they simply chinese lanterns or something else filmed over San Francisco December 8th 2012? 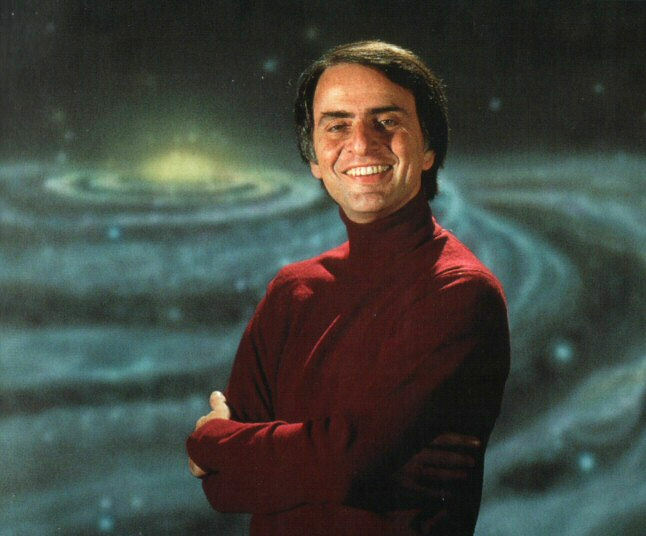 Carl Sagan, a famous American astronomer and TV personality was long known for his skeptic stance towards UFOs in the public eye but over the years it has come out his personal beliefs on the topic were possibly quite the contrary. Coming from such a well respected man in the scientific community this is indeed a revealing revelation. However it is not a shock to many, with the grandfather of crop circle research, Colin Andrews often explaining that crop circles were under deep surveillance from the 1980's and onwards with extensive CIA and UK military involvement in an active disinformation campaign to deter public attention and discredit researchers of the topic. For some strange reason once uploaded to Youtube, this UFO video lost the quality needed to see the second orb below the bright one which made it impressive. The best you can do is view in HD 1080dpi in fullscreen and you might be able to see it. Please note anyone in the nearby Omak area, please reply to this post if you have also seen strange lights like these recently. I called my nephew outside and he was terribly startled and ran back into the house. he also told me to come inside. I then asked him to get a camera/video equipment and take photos. we did capture the object in several pictures and some video. .This morning at 5 am i went outside to look for the freaks that come out at night instead i saw 3 very large star-like objects in the sky one west another north and south .they where big bright and 2 of them was coming down and the other one was going straight up.watch video clips of them recorded till light out side.sorry alot of shakiness trying to show u all 3 of them.enjoy and be safe. Filmers comments: 22:50 when my dad tells me that something was going on outside, I take my camera and my impression was great to see those lights as they flew and they were so close together and formed something scared me enough and started recording, moves the pile and more keep coming. As extra information in Concepción two large blue lights and lightning were also seen in the sky???? A recent bright flash seen across the sky in Texas has raised UFO reported across the area. Eyewitnesses from Dallas to Houston, as far west as Austin and as far east as Louisiana described the light, which occurred sometime before 7 a.m., alternately as "a burst of green" or "a bright blue flash followed by a tail of smoke" that "looked similar to lightning flash" and even sounded to some like a "sonic boom." It's most likely an object from the Geminids meteor shower, speculated a meteorologist for KHOU. It's most likely an object from the Geminids meteor shower, a meteorologist speculated for KHOU. Nat Geo's "Untold Stories -UFOs in Europe". A great new documentary for this weekend.. Interesting UFO photos sent in from a reader in Huddersfield, West Yorkshire on December 3rd. I had to crop the original image (here) to fit it on the site. There are houses in the foreground and top left in the sky, is a UFO - possibly in triangle formation? Bright lights in the sky 2 bright white one slightly off colour, there was four at one point 3 bright one dull. stationary in the sky, didnt move. they were South from denby dale, got some SLR shots and some RAW files, no tripod though decent shots though. they were taken with a telephoto lense. went down stairs to put the camera back, after about 5 mins of looking at them in the same position then they vanished as i was away from the window. looks similar to the video recording over the hawai video you have on the site. dont know what it was but i thought i would share. Calling all folks from Michigan. UFOs reported by many over Grand Blanc area on the 4th December. If you saw any strange lights like these below please reply to this post with your eyewitness account. It seems many in the area saw the lights and called the police to report them. GRAND BLANC TWP., MI -- Jeff Holko doesn't know exactly what he captured on video Tuesday, but the 23-year-old township man is open to suggestions for something he can't otherwise explain. "I'm not saying it's aliens from another planet," said Holko, who grabbed his cellular phone and started recording the sky above Heatherwood Apartments on Grand Blanc Road after spotting a bright, flickering object hovering about 500 feet off the ground. Genesee County has been flooded with reports of unidentified flying objects since The Flint Journal reported on the claim of Denzel Washington, a 19-year-old, who reported seeing some type of craft in the sky above Rave theaters in Flint Township on Nov. 11. Filmers comments: I watch the sky all the time due to the high rate of UFO activity. So I saw this on my nightly watch and finally got it on tape it being low enough. The sound is removed because of my cousins request not to be in it. future videos will contain sound. Yes, this is an older video, but we seemed to have missed posting it for discussion purposes. Filmed in July over Sunway Mentari in Kuala Lumpur, Malaysia July 2012. What has since been identified as possible remote controlled LED plane, still puzzles many people. If anyone has any concluding comments on this footage, it would be very much appreciated. Filmers comments :We had our dinner near Sunway Mentari hotel and we saw some flying objects that speculated by public few weeks ago that that is actually a UFO from outerspace. We can't explain what it is. Person in Video: Nantha, Danny and John. Cameraperson: John. Another orb triangle appearance occurred in Brooklyn, New York on the night of December 3, 2012. If you live in Brooklyn and saw these lights, or if you have more information please reply to this post. If you would like to add your UFO report click "SUBMIT" above. Large stationary orange defined lights (approximately 25) in a linear pattern. Stayed stationary for 10 minutes, then 1 by 1 the lights dimmed out. When 1 light remained, the object began moving away from me at a very slow speed. No sounds associated to report. This event took place over the campus of Western Ky University. I am not sure what this was and I may never know but I can tell you it didn't make any noise it was very big and just sat still in the air about 1,200 to 1,500 feet over my truck the other night. I pulled over and got out and took this picture. After I snapped the photo that darn thing was gone just boom gone. Never saw it again. I just finished watching a show on the History Channel about UFO's.David Sereda was discussing an incident that involved the shuttle mission on Oct.1 1995. I'd like to report a similar sighting I witnessed from my home in Eastern Kentucky approximately 10 years ago. It was around midnight when I go outside to smoke. I'm constantly looking towards the night the sky hoping to catch a glimpse of falling stars. It was very clear on this particular night when I noticed 3 objects approaching from the East at a very high rate of speed. The one in the lead took a sudden turn to the north, the other 2 made a loop towards the south and then headed back north following the same path as the first one. Before catching up with the first they made a very Quick U-turn and headed back to the south. At this point a 4th object came from the East. When it came overhead the one that was in the north made a turn and came in behind and the other 2 that where heading south made a quick turn and joined up with them. when all 4 objects where close together they made a quick turn to the southwest and very quickly disappeared. This all happened in just a very few seconds, it was very quick and it caught me by surprise. I've spent 8 years in the Military and have never seen any type of aircraft make these sudden moves or move this fast, It looked to be at a very high altitude, no sounds could they appeared as big bright white lights, no shape could be seen or any other type of descriptions, kind of resembled a shooting star but making quick and abrupt movements. I continue to watch hoping to maybe get another glimpse but have seen nothing else yet. I've only told a few other people this story and when i saw your report on the shuttle mission i decided to share it with you. Hope you enjoy!!!! Controversial speaker Dr Steven Greer, talks about the developments on his upcoming movie Sirus. Of most interesting points and draw card of the movie, is the strange alien foetus - some assume the small alien creature is all movie hype, but Dr Greer insists the creature has been medically studied. The goal of this film is to introduce as many people to this subject as possible - worldwide. We want to draw them in, help them see the validity of it and how it affects them directly. Then they can delve further via the wealth of credible information that has been gathered by The Orion Project, The Disclosure Project and CSETI. We are very excited and want to share with you in more detail some of the archives that have been offered to us to use. As you can imagine only a fraction of the material can be used in a 2 hour documentary of this scope. For the next few weeks we will discuss the materials we have from Paola Harris, Dr. Ted Loder and Dr. Lynne Kitei. Paola Harris (Italy/Europe/Vatican) is an Italo-American photojournalist and investigative reporter in the field of extraterrestrial related phenomena research. She is also a widely published free-lance writer, especially in Europe. She has studied extraterrestrial related phenomena since 1979 and is on personal terms with many of the leading researchers in the field. From 1980-1986 she assisted Dr. J. Allen Hynek with his UFO investigations. Mufon report: I was walking from my shop in the backyard to my house I looked up in the night sky to look at stars like I always do and saw this bright red/orange circle. I yelled for my wife to come outside and I used my phone to record it. After a minute the light disappeared. 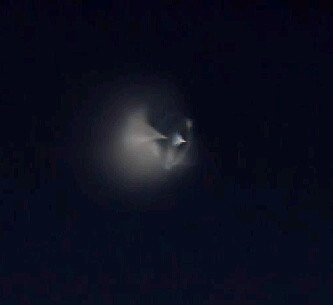 It appeared to be going toward outerspace in the southwest night sky. It looked like maybe the fire you would see from a rocket or missile but I checked every web site I could and the only missile that day was in south korea which i wouldnt see from my house. Im just curious if something was launched I live by March Air Reserve Base but I would've heard a missile lift off. The beginning of the video is moving alot because I was trying to zoom in once I did the video is better viewable. Friday 30,11,2012 with "UFO Activity They record the abnormal activity of severe abnormalities in Havana Heaven towards 21:18 m at the height of the area Celeste, North "and North West" in the capital of Argentina where the flashes were observed anomalous large magntitud for several minutes, there was also there, minutes before an orbital Lenticular trasa with plotting sheet This "(which generated Confucianism), but later identified as a satellite HST" comfirmado, no visible steps in this evening ISS. Monitoring was continued, pending three starts Flares "Iridium" Comfirmado "If they were" three "(recorded) Mysteriously three minutes after the last pass" Iridium 75 "at 22h51m, was recorded in the same area a Lenticular fourth start "facing a flight on the Horizon" North West ", the fourth start'' could not be identified, however all list checked Above Heaven. TRV HI8 Frames Ware Fire x port. To see star map and original digital paintings, enter Glaucoart report. 11/30/12 Approx 8:15pm taken from my Galaxy Nexus near Surprise,AZ. While driving, noticed the lights and pulled over. Watch and decide for yourself! New UFO report just in from Knoxville, Tennessee. Around 6pm on November 24, 2012 while driving south on Mabry Hood Rd in Knoxville near the intersection of Kingston Pike and Pellissippi Pkwy I saw approximately five orange lights in the sky in triangle formation. Four lights were in a line and one light that made the point of the triangle. These lights appeared to be hovering at a low altitude. There did not appear to be any mass between the lights. I pulled over at the Chilis parking lot to take a video with my iPod Touch, but I lost sight of the lights. Then I saw one of the lights again to the east, and then eventually two more which made another triangle. Two of the lights gradually disappeared, but the last one remained and appeared to glow more brightly. I did see other planes in the distance in the same direction as the lights, but those were obviously planes because they were moving at a constant rate and had blinking lights. I thought that the planes may have been dropping some sort of flares, or these were flares on balloons. I stopped my recording because the light was just stationary, but when I looked for the light again after it was gone. The wave of UFO sightings over Florida this month, began November 10th when several people in Cape Coral reported seeing a fast hovering object and beams of light. The RealUFOs team would like to hear from any Florida resident who may have seen a UFO recently...if you have, please reply to this post with the date and description of your sighting. A new UFO news report about a Triangle UFO seen over Princeton, Indiana on November 26, 2012. RealUFOs is calling on any eyewitnesses or people with further footage of this sighting, to reply to this post. Strange lights appeared in the sky this weekend and more and more Tri-Staters are asking- what were they? Kimlee McCraw sent in a picture to 14 News. This is what she says she saw outside of her Princeton, Indiana home Thanksgiving night. McCraw says she's a skeptic of UFO's, but says she definitely saw something right out of a movie. She grabbed her camera and got them on tape. "So, these are like the first ones I took," McCraw said. McCraw is eager to show anyone the pictures she took Thanksgiving night in hopes someone could explain just what she saw in the sky over her home in Princeton. "They just stayed in that four, all of them, and they moved across the sky," McCraw said. The objects immediately caught McCraw's attention while her family was outside Thanksgiving night. She even pointed them out to a neighbor who stopped by. "And I was like, 'what is that?' And she kind of turned and came back and said, 'that's an airplane.' I said, 'that is not an airplane,'" McCraw recounted. McCraw says it was just before 7:00 p.m. when she started seeing the objects rise from the horizon. She says they didn't make a sound. All glowed and changed colors, all were about the same size, and all appeared to just to float up in the air. "And they all took the same path and then sometimes there would be two, sometimes four." In all, she says she and her family saw 20 or 30 of them in a period of 10 minutes. They weren't the only ones to see strange objects in the sky recently. Some in Henderson, and even Illinois, posted on social media sites, that they saw objects, too. New UFO video just in! From the Gold Coast in Australia, we're really interested to know what readers think this object may be? Poster comments: I think qui'l was a helicopter, but when I heard nothing, I started filming with my phone samsung galaxy s3 celulaire, there is no noise, and it is moving slowly. A bright flying obect was seen over Arlington, Texas on August 21, 2012. I've never heard about crop circles in my native Australia - but here is a first. In Boorowa, Lachlan Valley near Yass, New South Wales about four hours southwest of Sydney the below circle in the shape of a large flower appeared . Peter Davenport, Director of the National UFO Reporting Center, went on MSNBC to discuss whether UFOs are real, and if so, why the government doesn't disclosure what it knows. 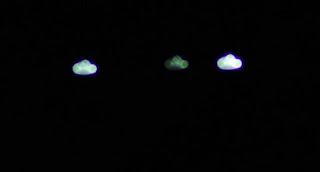 Some very odd, flashing lights were seen over the town of Maricopa, Arizona on September 17, 2012. If you live in the area and have more to add, we would like to hear from you. Posters comments: On September 17, 2012 at around 9:28 PM, I just got back to the City of Maricopa, AZ from Mesa, AZ, and I had just got out of the truck when I spotted almost directly south these orange lights that sporadically flashed in the sky. I went inside the house and grab my video camera then went back outside and started video taping. During the evening the next day or during that week of the sighting of those strange lights, there was a huge column of heavy dark smoke in the same direction I saw those strange lights in the late evening time. The second time I saw this heavy column of smoke which was in the late afternoon, I went to investigate what was causing that dark column of smoke. While investigating the cause of the smoke, I discovered that there was large amounts of bales of hay that was on fire which the fire department was fighting. The fire also occurred a third time on a different day what I think was also during the same week. About two months later, I downloaded the video of those strange lights onto my computer. When I was reviewing the video, what I saw was baffling. That is also when it just occurred to me that there was a hay fire in the same direction. Did those lights create that hay fire? I have no idea if it did yet I did see in that direction those lights in the late evening. If you look closely, you will see some lights swirling towards the ground--what are those lights? I have never seen lights swirling like that while it also traverse towards the ground. Another witness said that they had seen some strange lights in that direction but from a different location, but I am not sure of the date; it may be the same date I saw those strange lights. I thought those strange lights may had been flares I seen, but now I don't known because of that swirling light. A report from earlier this week over the roof of a cabin in Perthshire, United Kingdom. Offiical explanation later came forward, saying they were lights from "tree lopping" exercise but UFO investigators still disagree with this. UFO investigators are studying footage of a mysterious object seen floating in the sky above Perthshire. Adrian Musat filmed the glowing white light when he spotted it from his living room window in Pitlochry. Mr Musat sent the material to the British UFO Research Association who are now examining it. The 40-year-old chef, originally from Romania, says he is open minded about whether the experience was a brush with extra terrestrials. I was going over some of my photos from an event called Glendale Glitters in Arizona and I noticed something really strange. What appears to be three orbs out in the middle of the sky. The second photo shows them from a different angle. 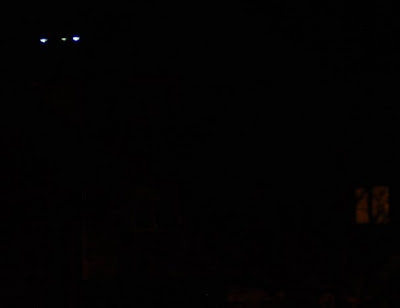 Flying orbs have been seen in Arizona lots of times and one good example is the Phoenix lights. As we all know the Israel/Palestine border is an area of serious conflict at present. Could this footage be of some anti-aircraft defence system or is it something more unusual? 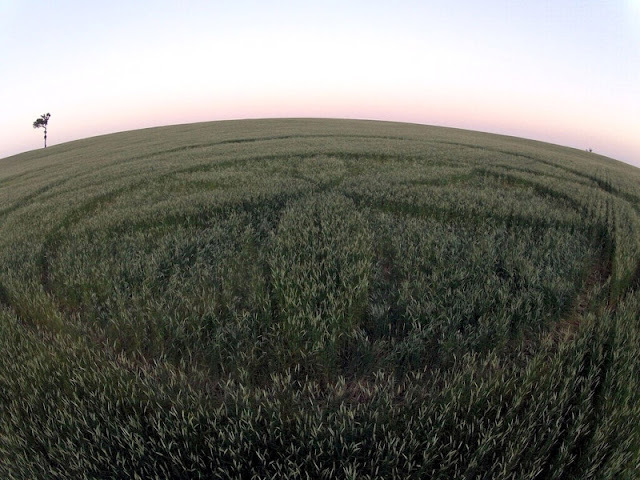 This was witnessed at night over a canola field at East Field, Wiltshire using night vision googles. Throughout the night we witnessed many unusual sightings of lights - fields lit up with pale blue flashes - streaks of 3 white lights shooting across the sky and then a beam of light appeared over a distant field. Due to all the activity throughout the night we had hope that a formation had appeared somewhere within the vicinity but as dawn arrived there was nothing to see so we drove through all the possible locations but to our disappointment, we still didn't see any crop formations. Canola formations can sometimes be hard to spot from the roadside so we flew across the entire location just to be sure that we haven't missed one somewhere, but yet still nothing. On the 4th of May, colleagues still out in the field begun to witness many lights which were quickly joined by military choppers. These sightings continued for over 3 hours - I get the feeling that there is a bit of teasing going on and testing the patience of helicopter pilots. We haven't a crop formation just yet but other activity has definitely begun. Here is some footage and photos of UFO's in my home town, Tenterden in Kent, England: Unidentified Flying Objects/Orbs. Watch the zoom in from 15 mins 44 seconds and see the black dot thing going over the surface. Watching this with binoculars is extraordinary - shame I didn't have a more powerful lens. No, they're definitely not meteors or weather balloons. They were there too long to be meteors - and they come and go - see them pop in and out on the video. Besides, when you look at them (or some of them) through binoculars they change shape. No, certainly not any kind of aircraft (at least that I know of) - we double and triple checked this with binoculars. I wish we could have filmed what we saw through the bincoculars, with the changing shapes, the brightening and dimming, enlarging and shrinking of the lights/orbs. Even that bit where it looks like it might to some look like a helicopter - look at how it changes into two and then into one and then disappears with big flashes. And there was no noise, and on and off there were around eight of these things in different parts of the sky. Also, as the photos show they were there on and off all night and had appeared on and off over a few days. Strange series of lights over Westlake Village, California Filmed 11 November 2012. Comments appreciated from anyone else who may have seen these lights. I was in the living room when my mom pointed out lights in the distance out the window. We went outside and viewed orangish, goldish lights accending. We immediately thought they were helicopters, but helicopters dont have a bright orange light on them. At one time there were as many as six lights. They accended, decsended, hovered, changed directions, split up, regrouped, and before the lights dissapeared they began to get dim, bright, dim, bright. We were very confused as we have never seen any thing of this type before. All the lights eventually dissapeared after about ten minutes. MIDLAND- A man is making an extraordinary claim that he's seen UFO's fly over the Basin. The person NewsWest 9 interviewed wanted to remain anonymous and he's associated with the Laredo Paranormal Research Society. "The facts are above our skies in the Permian Basin. We are seeing the lights, we are seeing stars, we are seeing crafts. My belief is that they're transporting something or someone, and depending on how in depth you would like to open Pandora's box, we're thinking of course, they're aliens," the man said. He said the lights that he's been seeing going across the sky are following each other at different altitudes and he's able to do that with a special type of night vision binoculars that the military uses. "What do you say to those people who say you're crazy?" NewsWest 9 asked. "Seeing is believing, but if you don't believe that's ok. We're not out here to win anyone, win anybody over and prove to anybody anything. It is what it is. There's enough facts, there's enough proof out there that we know that they're there, we don't know what they want. We know that the government is covering all of this up," he said. 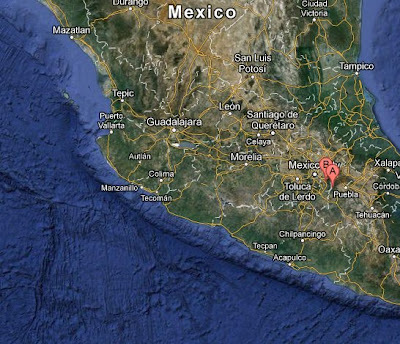 Yet another piece of news footage about UFOs and this famous Mexican volcano. It seems that UFOs over the volcano have been reported countless times now. The volcano like many others, is a no fly zone due to the danger the volcanic ash poses to aircraft engines (as leads to the phenomenon of St. Elmo's fire) . Using an infrared IR camera, this man in Melbourne Australia, caught these interesting UFOs. He mentioned: One of the most amazing sights I have ever recorded. Objects not visible to naked eye.